ROCK N ROLL SOCCER: Eusebio "was like a little kid. 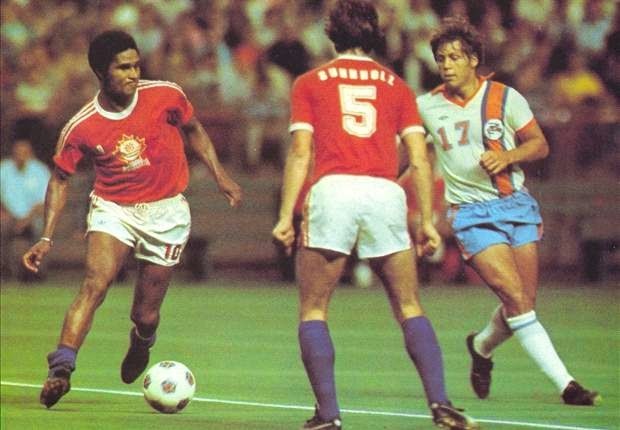 He wanted to be in every attack"
Eusebio "was like a little kid. He wanted to be in every attack"
Toronto started the 76 season well, winning eight of their first ten matches, and Eusebio, who missed the first two games, scored six in six appearances. There followed a mid-season, seven-game slump when the team won only on penalty kicks (three times – through this season, drawn games were decided on penalties if no one scored during sudden-death extra time), and failed to score in open play for all seven games – a highly unusual sequence for the high-scoring NASL. After that sev-enth game, the Yugoslav coach Ivan Markovic´ was sacked, but it wasn’t just because his team had lost its scoring touch. It was because of Eusebio. 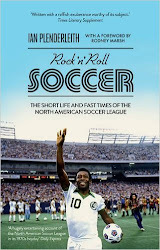 To find out the rest of the story, pre-order Rock n Roll Soccer here (UK) or here (US).